Last 36 hours for submissions! We’re down to the wire here, everyone! This is your last chance to submit designs before the deadline! Get ’em in before the voting starts in 2 days! 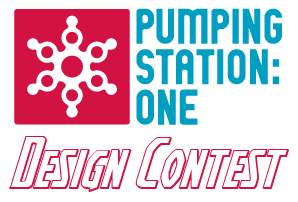 One week left in the Pumping Station: One Design Contest! One week left to send in your submissions, people! the submissions so far have been AMAZING, and those of you who’ve been working all month on yours are sure to have something really amazing in the works! I can’t wait for the voting to start next week! Only two weeks left in the competition! Thank you to everyone who’s sent in a design, so far, and I look forward to seeing the designs to come! 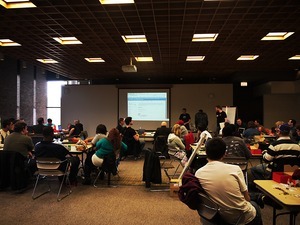 Reserve your spot to the third annual Chicago Northside Mini Maker Faire! Tickets are FREE to the public, but by reserving early you guarantee your spot. Now you can e-sign the media release on Eventbrite and skip the line! As always, your generous donations allow those who cannot otherwise afford Maker Faire to attend for free. Recommended donations are $10/adult, and $5/child under 12. Pumping Station: One will hopefully be there with a table. Come visit us! This is going to be one of the odder events held at Pumping Station: One so far. It’s a 6 hour hangout from 8PM CST to 2AM CST (yes, timezones are crazy!) with people physically located in Taipei, Taiwan; Chicago, USA; San Francisco, USA; Wisconsin, USA, and probably a few other places! The purpose is to bring people together from all over the world to show the people of Taipei what a hackerspace can do for them, and why it’s so cool that one is coming to their city very soon! I’m personally giving a talk for a few minutes about how life changing finding hackerspaces can be, and how important their social aspects are. It’s a tall order to talk after the other two speakers, and I hope I can even remotely compare to them. Inter-space social activities like this and so many other things online allow our culture to transfer amazing ideas from far across the globe with so very little friction. Below is the description by Taipei Hackerspace, the event’s organizer. The purpose of this event is to get people interested in joining the first ever hackerspace in Taipei. We will be gauging interest in the hackerspace to help us select a large enough space that we can afford to open. This will also be a chance for the organizers to meet people that can help us find the perfect space. Our goal is to have the space ready for a Hack the Hackerspace event by the time Maker Faire Taiwan arrives in May. The will be a main G+ Hangout that hackerspaces from around the world can join as a group. This will be displayed on the main screens at the event as well as smaller screen throughout the event. 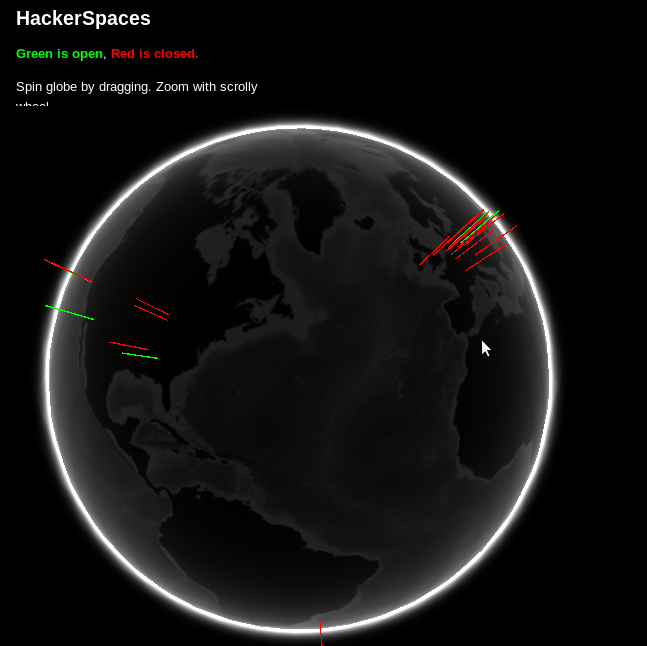 Local people will be able to interact with the members of the hackerspaces. This hangout will also be broadcast On Air. Each of the 4 learning stations will have a public G+ Hangout so anyone can join in to learn or teach. Each station will cover one topic that can be completed in about 30 minutes. Each station will have room for 4-6 local participants. The topics will be “Learning to Solder”, “Getting started with Arduino”, “Clothes Hacking”, and an open topic for the last station. A co-founder of Noisebridge, a hackerspace in San Francisco, and a pioneer of Virtual reality. Mitch has been featured many time is Make: and many other magazines. Programmer extraordinaire and insatiable hacker. Eric discovered the hackerspace PumpingStationOne when he was transplanted to Chicago. He immediately took an active role in the community and is now president of the space. Ex-pat living in Taiwan and founder of Taipei Hackerspace. He has been driving the online presence of the group. Recently relocated to Taipei from San Francisco. After discovering Gergely through hackerspaces.org, they joined forces to found the physical space for Taipei Hackerspace. Of course, don’t go booking plane tickets! That’s what the Internet is for. We’ll be posting the G+ hangout information here, but for the best experience come down to Pumping Station: One for the event, we’ll have the live video up on the projector… and maybe our in-house brewed Pumpkin Ale on tap. 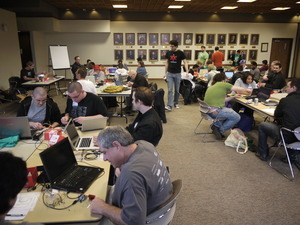 * What: Meet people from all over the world, talk about your projects, and see speeches by Mitch Altman and Ben Heck! You’ve probably heard me talk already, so that’s not the fun part for you. * RSVP: not required, but add yourself on Facebook if you like. * Who: Any member of the public for the first hour and a half (through 9:30PM) and perhaps later, but no guarantees unless I can get someone else to take over hosting the event. A few months ago we got ahold of some very rare and insider information about fungal infestations on board MIR, the International Space Station, and the Apollo Missions. 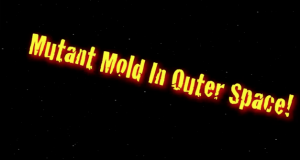 It turns out, the reason we let MIR burn up in the atmosphere was to protect our ecosystem from being exposed to mold species that had mutated during their time in space. The super-fungus became more aggressive and could etch glass, eat through rubber gaskets, and grow four times as fast as fungus does on earth. Crazy, right? Anyway, my family and I spent the last five months or so compiling this information into a 45-minute documentary. 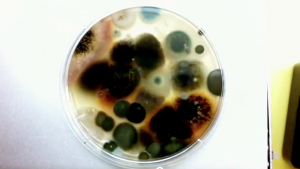 This documentary is just now starting to make the rounds in the microbiology world. It’s been screened privately for groups of microbiologists, the US Military, and other industry professionals. We will screen this movie at PS1, October 17 at 7pm. If you are into science fiction, biology, Star Trek or real space exploration, this is really up your alley. The purpose of the Flourish Conference is to promote the use and adoption of Free Libre Open Source Software (FLOSS) by demonstrating the practical applications of FLOSS in the business and academic world. The workshop had around 40 attendees. It introduced the Arduino platform starting from the basics of software, hardware, and microcontrollers. Since there were a lot of programmers at the conference, we went a little further into the “behind the scenes” aspect of the Arduino environment than is usual with basic introductions. Working with circuits and breadboards isn’t hard, but you have to train your eye to see the physical sense of the thing. Starting afresh, it’s very easy to make mistakes. If it weren’t for the volunteers from PS1 who patrolled the room watching for people needing help, the workshop would not have been possible. Patrick, Anna, Avner, Steve, and Eric stayed very busy for the whole two hours. More images and the workshop outline are at KineticsAndElectronics.com.